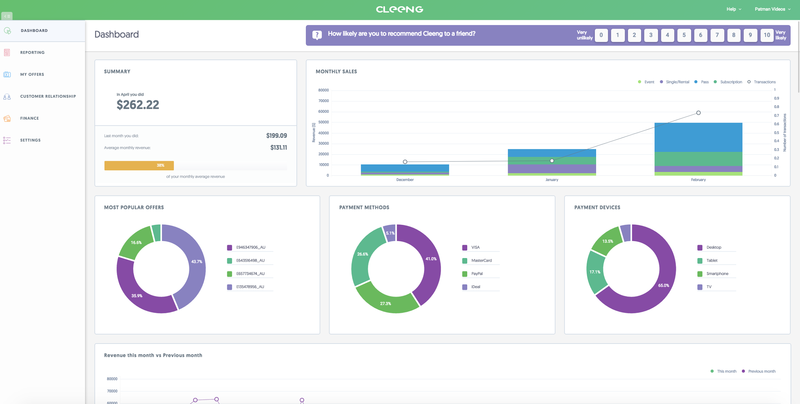 The new Publisher Dashboard brings advanced analytics and next-level user experience that will help you, the Cleeng publishers, make business decisions easier and grow the bottom line from your content. 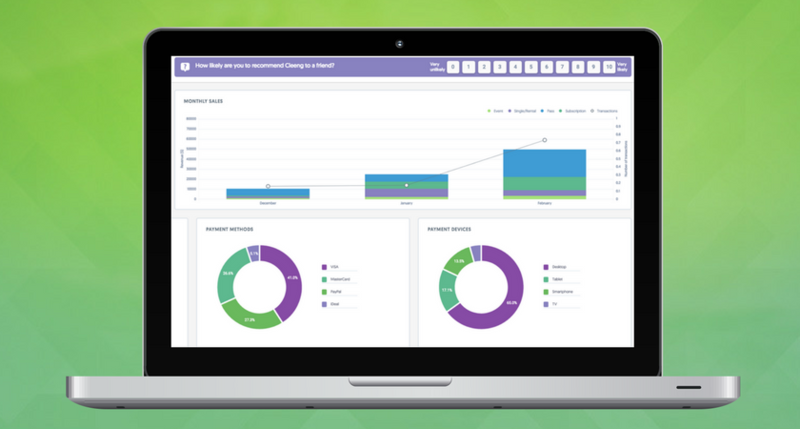 With features like subscriber and churn management, revenue tracking and direct access to customer support, you have much more clarity of their business. We are ecstatic to show a sneak peek at what our team has been working on in the past couple of months. The Publisher Dashboard has been fully revamped and has a lot more data, new features, and an improved user experience. Note: The new Dashboard will be officially released and rolled out to our publishers’ accounts in a few weeks. What exactly has been changed? Evolution of active subscribers: month-by-month insights for the active subscribers’ category. Offers performance: an improved analysis and prioritization of existing offers. 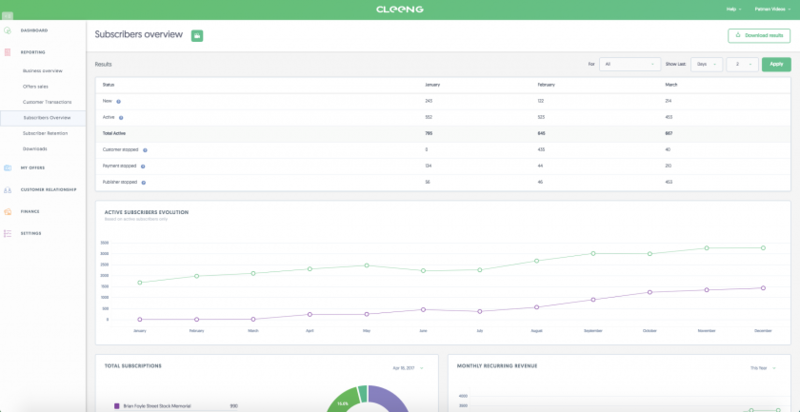 Recurring revenue tracking: a daily and monthly overview of the revenue flow. Churn management: unveiling the real reasons why subscribers are canceling your service via a month-by-month overview. Detailed subscriber retention analysis: illustrating the level of subscribers’ loyalty, via a month-by-month overview of gained and lost viewers. Review the incoming refunds and to accept or deny them within 72 hours.